WATCH: Rita Ora (Sort Of) Challenges Liam Payne To A Live Rap-Off... To Some Dodgy Conseuquences! We both know they can sing. And by "sing", we obviously mean "create songs so magical that every time you hear them, you get goosebumps over your whole body". But how well can Rita Ora and Liam Payne rap? 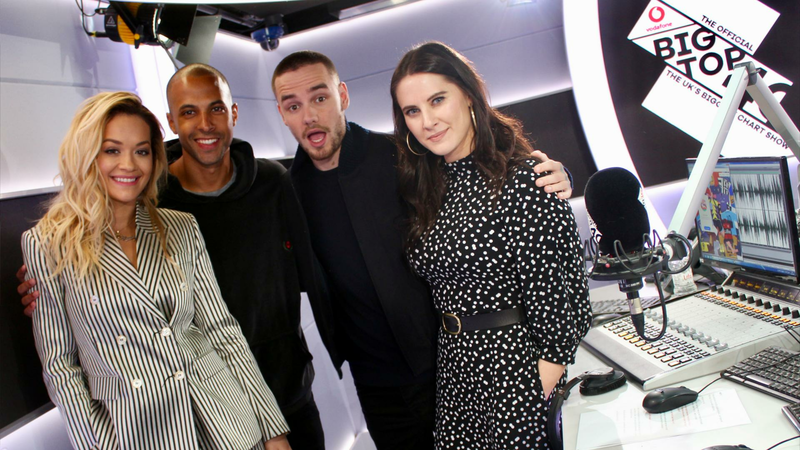 The last time the 'Strip That Down' singer popped by to The Official Vodafone Big Top 40, Liam told Marvin Humes and Kat Shoob that he and Cheryl often have rap-battles in the kitchen, so we wanted the latest on who's spitting the most fire bars. That's when we knew we messed up - we released the inner-rap god inside Rita Ora, who challenged her 'For You' collaborator to a rap-off. Sort of. It turns out she doesn't actually know how to rap, but we believed her - we were ready to watch a live rendition of '8 Mile' right before our very eyes. > Where Will 'For You' Reach In The Official Vodafone Big Top 40? Check Out The Chart Now! Rita, maybe get Cheryl to teach you a thing or two?